Thank you for making Brenda of Cozy Little House feel so welcome! Now, I have another treat for you, Nita of the fabulous blog Mod Vintage Life is also honoring us with a guest post. 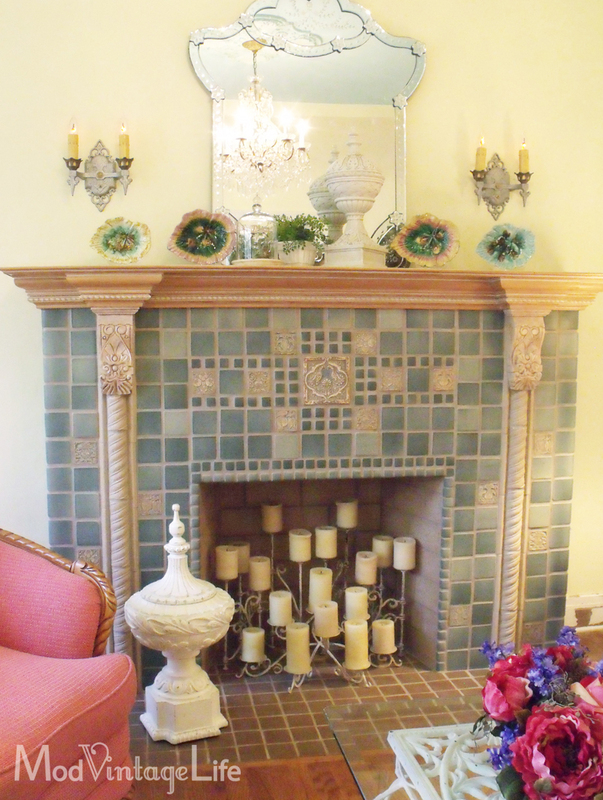 Nita and I share a love of vintage homes, animals, and of course decorating. Her beautiful blog is a feast for the eyes, filled with unique and wonderful decorating inspiration. Please make her feel welcome and enjoy! I am so happy to be guest posting today for Laurie. I've admired her blog and of course her store for quite awhile so it was indeed an honor to be asked. If you don't know me, a quick stop by my blog will show you that I'm all about vintage things. I live in a vintage house. Sit on a vintage couch. Warm my feet at a vintage fire. 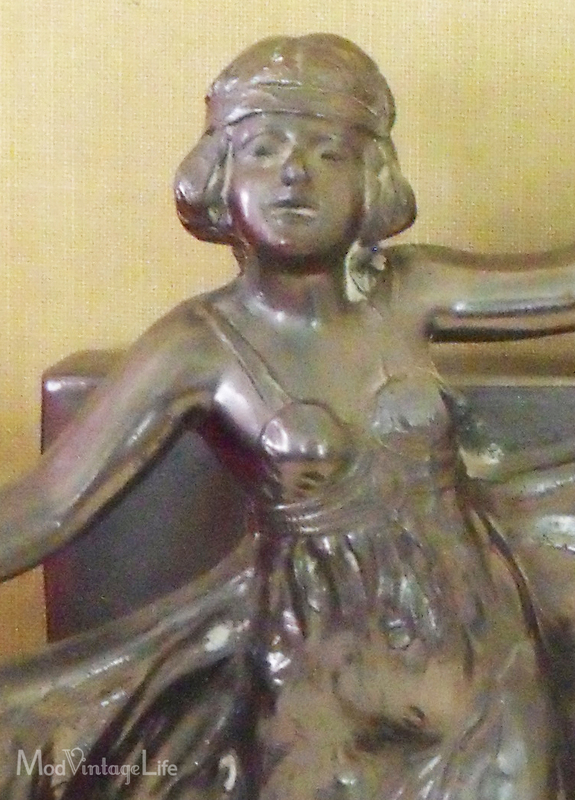 Art Nouveau and Art Deco figures. 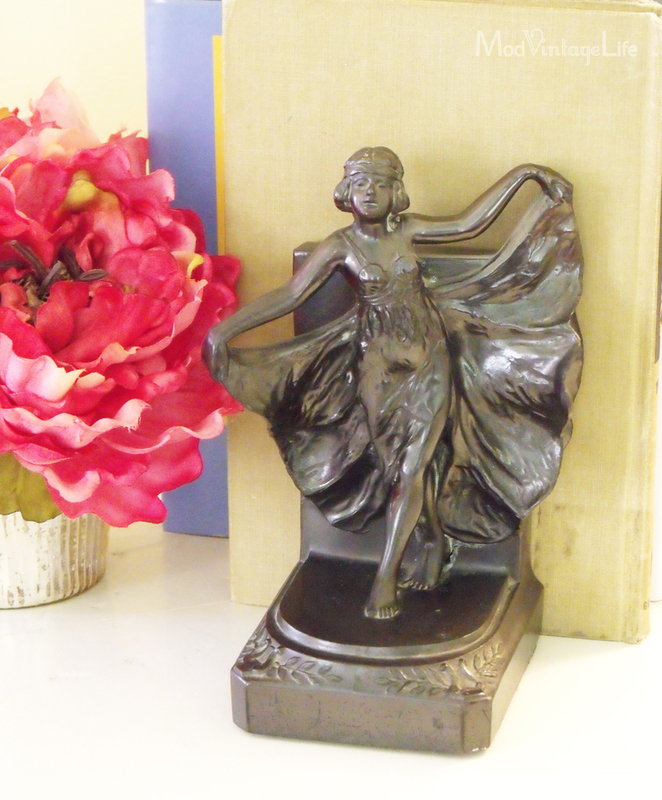 My first Art Nouveau/Deco purchase was a pair of bookends. I'd say these lean more towards Art Nouveau and would date from 1910 - 1930. They are bronze and were bought for a mere $20 at a flea market about 20 years ago. Today to replace them...they'd cost me $300 - $500. Love her dress and hair. 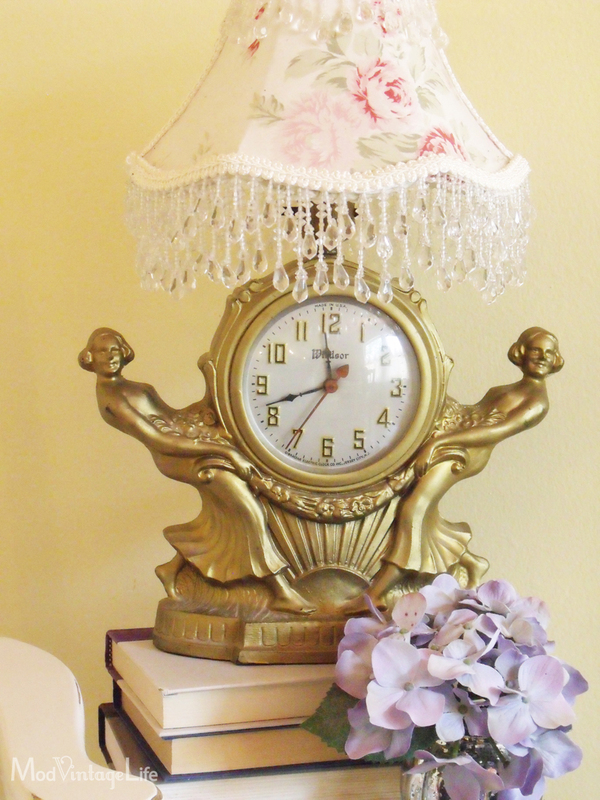 Another favorite of mine....I saw this lamp/clock at a flea market in Atlanta and new I could not live without it. This definitely is more Deco. And this beauty was found on Ebay. This one is definitely more Art Nouveau in style. All soft flowing lines whereas the Art deco style is a bit more modern and has more structure. Thanks, Laurie for letting me show off a little of my collection today. OH! I LOVE Nita and her home. She has been able to make it magical, elegant and yet warm and welcoming! Her blog is always so beautiful and she is just the funniest! Thanks for sharing your lovely home with us. I live in an old house too, built in 1860. It has been moved and taken a part bit by bit but it still has good bones. I love my old house and she has been good to us. It is all so very pretty.....thank you for sharing you beautiful home with us. Great Blog Heres a Free Gift to help you Enjoy your Surfing more! I love your house, Nita! I love your home and your collections, everything is so beautiful.... thanks so much for sharing!!! 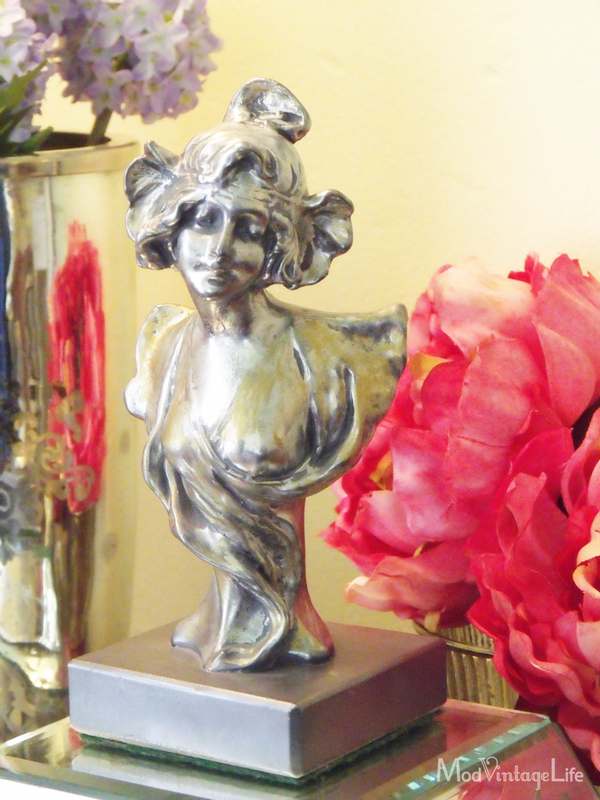 This was interesting to see your bronze collection~nice guest post! 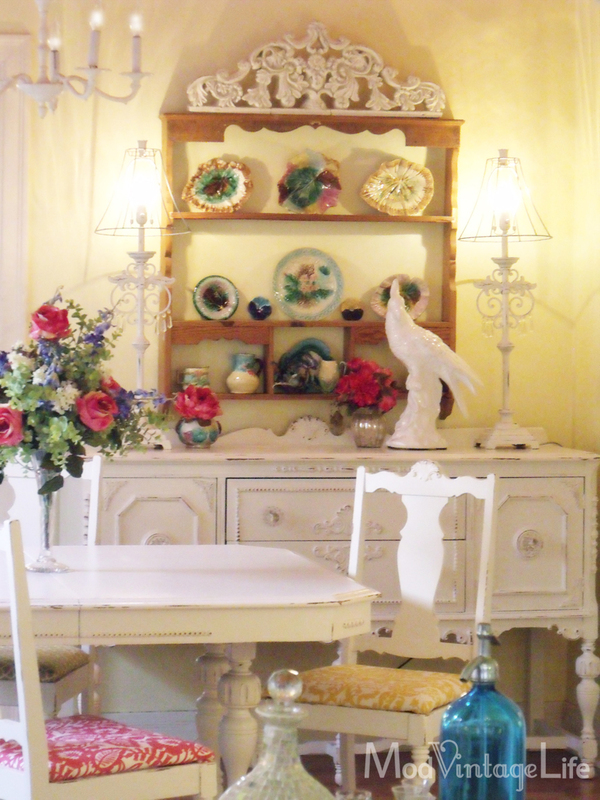 Nita's home is so bright and happy...as is her personality, which shines through in her writing and decor....I just smile looking at all the vintage prettiness! 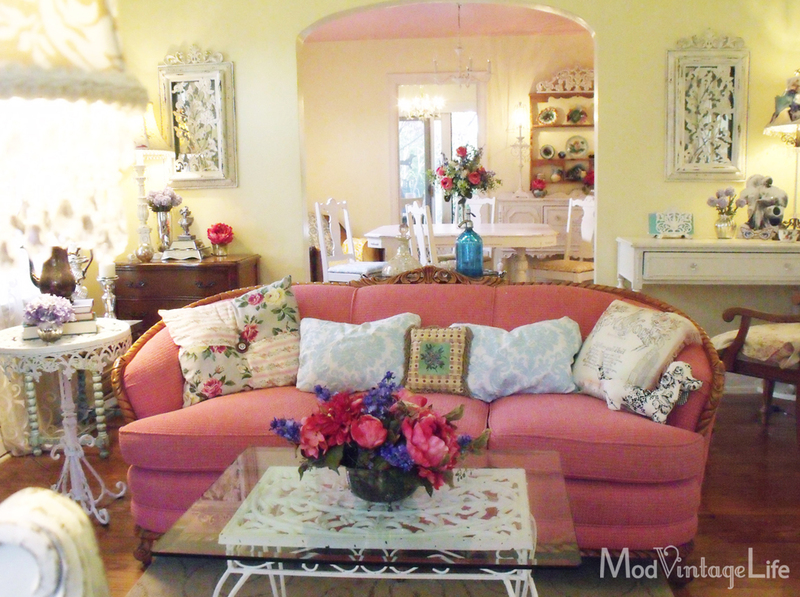 Love her Blog and love the vintage look and lovely feel of her home! 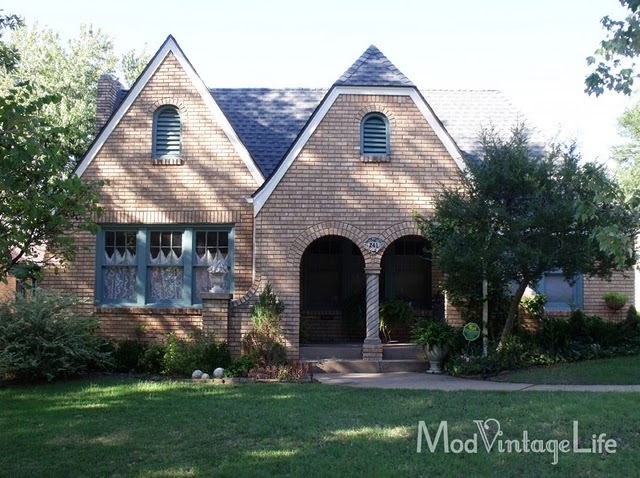 I always prefer older homes to new, and Nina yours is wonderful! LOVE Nita!!! GREAT guest post!